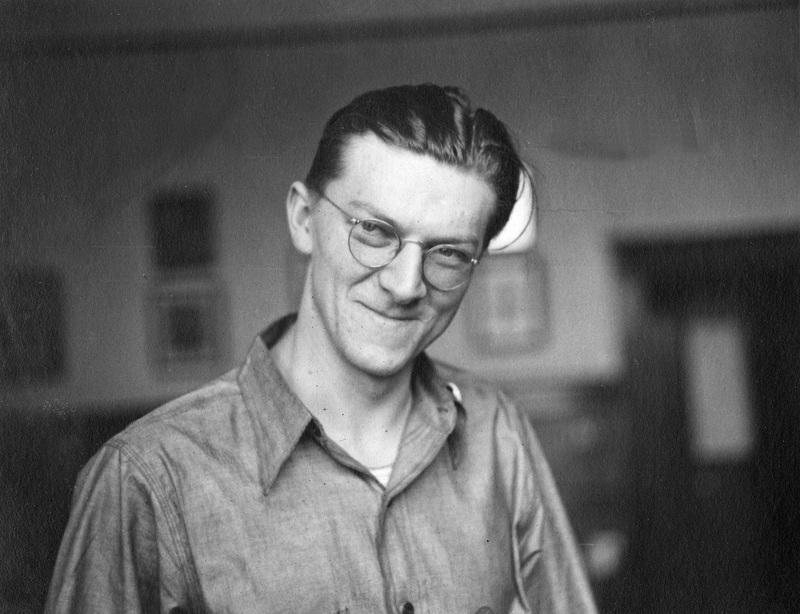 Harold R. Christoffel (1912-1991) was the chief organizer and first president of United Automobile Workers’ (UAW) Local 248 (at the ALLIS-CHALMERS MANUFACTURING COMPANY), the largest UNION in the state at the time. He also helped introduce the Congress of Industrial Organizations (CIO) to Milwaukee and was the first union leader indicted and jailed during the post-war Red Scare. Born in Milwaukee to SWISS immigrants, Christoffel apprenticed to become a skilled electrician at Allis-Chalmers in the late 1920s. 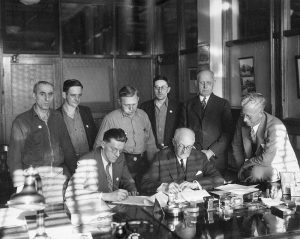 He served as union president from 1937 until he entered the U.S. Army in 1944 and helped lead significant STRIKES at Allis-Chalmers’ West Allis plant in 1941 and 1946-47. Christoffel was caught up in the Red Scare after World War II and indicted for perjury in 1948 after his testimony before the US House of Representatives Education and Labor Committee about his alleged connections to Communism. The U.S. Supreme Court reversed this decision in 1949 due to an absence of a quorum in the committee during his testimony, but he was retried and convicted in 1950 and served three years in federal prison from 1953 to 1956. After his release, Christoffel returned to Nashotah, Wisconsin, where he worked as an electrical contractor. Three decades later, a younger generation of Local 248 members acknowledged Christoffel’s contributions to Local 248 and the labor movement generally by honoring him in 1987 at the union’s fiftieth anniversary celebration. ^ Stephen Meyer, “Stalin Over Wisconsin:” The Making and Unmaking of Militant Unionism, 1900-1950 (New Brunswick, NJ: Rutgers University Press, 1993), 3; Christoffel testified before both the House Un-American Activities Committee (HUAC) and Congressman Fred Hartley’s House Education and Labor Committee (HELC). It was before the HELC that Christoffel was interrogated by then freshman congressmen John F. Kennedy and Richard M. Nixon, and freshman congressman Charles Kersten from Wisconsin entrapped him with questions about specific events and his alleged association with and membership in the Communist Party that were then used, with counter-testimony from a union detractor, to build a perjury case against him, Meyer, “Stalin Over Wisconsin,” 7, 203-207, 227. ^ Meyer, “Stalin over Wisconsin,” 4-5. ^ Meyer, “Stalin Over Wisconsin,” 227. ^ Meyer, “Stalin Over Wisconsin,” 231; “Christoffel, Ann and Harold,” Obituary, Milwaukee Journal Sentinel, July 11, 2004, 4B.